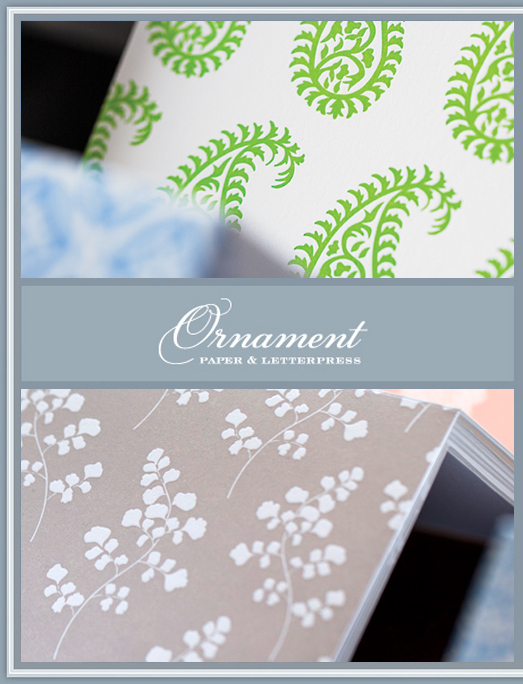 Ornament Letterpress is an award-winning letterpress studio located in Shaker Heights, Ohio. We specialize in creating elegant, patterned letterpress notecards. Our cards are designed and crafted by hand on carefully restored, antique printing presses. They are printed, folded and assembled with care on recycled, cotton paper.